There’s nothing like hitting the roads in Annapolis, Highland Beach, and Hillsmere Shores in a smooth and stylish MINI Cooper. However, in order to keep the good times rolling and your MINI Cooper out on the road, you’ll need to keep up with service and maintenance. One of the most common forms of services is the oil change. 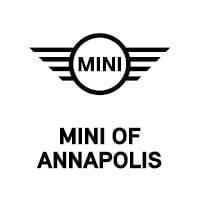 At MINI of Annapolis, we’re here to discuss the importance of oil, why your vehicle needs it, and the MINI Cooper oil change frequency that you should be following to keep your vehicle and its performance in great condition. 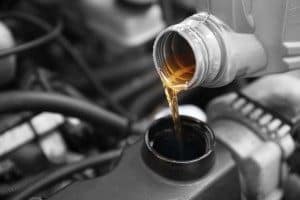 Oil is often referred to as “the lifeblood of your vehicle.” This statement is actually very accurate because without oil, your vehicle wouldn’t function. Oil has a variety of applications to your vehicle, but it’s mostly known as a lubricant. It helps the moving metal parts and components function smoothly without creating too much friction. Oil even helps these parts by cleaning them. While working its way around, it’ll actually soak up dirt and debris to keep your metal parts clean. Your engine’s oil is crucial to keeping your engine performing fluidly. However, oil can only do so much, and it starts to become less effective. Since one of oil’s responsibilities is to keep your engine components clean, it eventually collects enough dirt and debris to reduce its effectiveness at lubricating the moving parts. When the oil filter is full, and the oil becomes gritty and dark as opposed to its honey-brown appearance when poured into your engine, it’s time to change the oil. 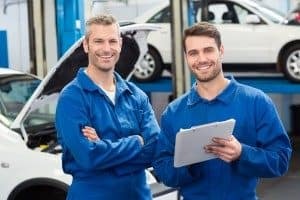 What Happens If I Put Off the Oil Change? It’s never wise to put your oil change off for too long. When oil is dirty and gritty, it won’t lubricate the moving parts as well as usual, which is supposed to help reduce the friction. If enough friction is generated, your engine can overheat. Putting the oil change off long enough can result in your engine seizing up and completely shutting down, leading to a lengthy and costly replacement. What’s the Oil Change Frequency with My MINI Cooper? When it comes to changing the oil in your MINI Cooper, it’s recommended that you have this service performed every 4,000 to 6,000 miles by a certified technician. Your vehicle also requires BMW Genuine Oil with a viscosity grade of SAE 0W-30. While it may be tricky to keep an eye on your odometer and keep track of your last oil change, there’s always the engine oil light. This light on your dashboard will light up when it senses that your vehicle is about due for an oil change, so if you see this light appear, make a note to schedule your service. If you notice that your engine oil light is flashing, or you’ve kept track of your vehicle’s mileage, you should schedule an oil change appointment in the near future. At MINI of Annapolis, we’re happy to provide these services to drivers in Annapolis, Highland Beach, and Hillsmere Shores when it’s time for their oil change. Schedule your oil change with us at MINI of Annapolis!